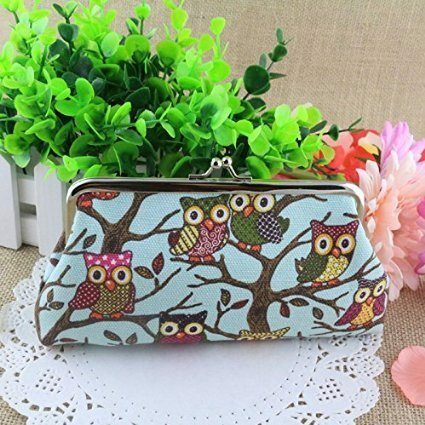 Owl Clutch Purse Only $3.15 Shipped! You are here: Home / Great Deals / Amazon Deals / Owl Clutch Purse Only $3.15 Shipped! Head over to Amazon and get this adorable Owl Clutch Purse for only $2.15 plus $1.00 shipping! What a great deal for a small purse. Choose from blue, khaki, red, and green. NOTE: This will NOT arrive in time for Christmas so please keep that in mind when ordering.